Balloon models are a great way to liven up a party or special occasion. My children love them, when we go to parties and balloon modellers can make a creation for them but we have never had them at home before! 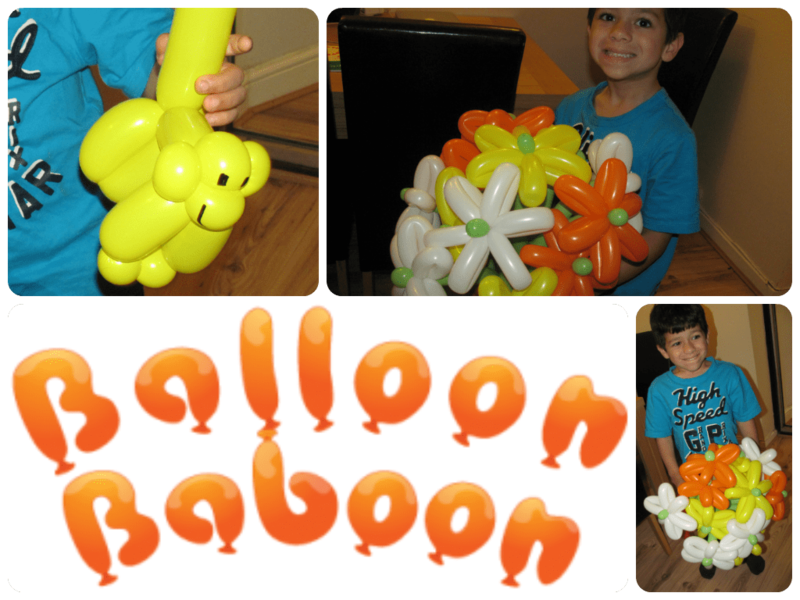 Balloon Baboon is a website offering the service to have balloon sculptures delivered direct to your house! This is a great idea, which I had never seen before! 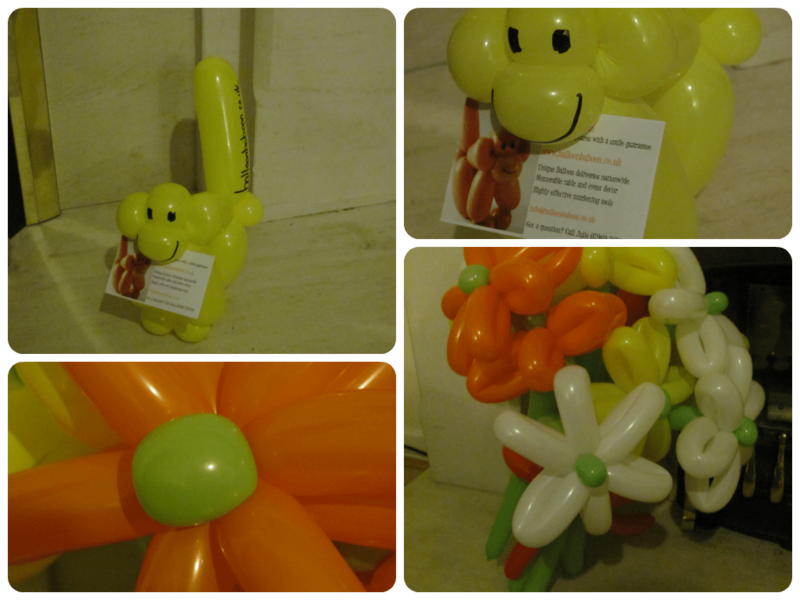 Balloon Baboon sent us a balloon bouquet and a little baboon to test out their service. The balloons arrived packaged in a cardboard box which had protected them very well as the bouquet sculpture was in perfect order not damaged in transit at all. The sculpture is fully made up within the box, so all you have to do is take it and place it where you would like – it couldn’t be easier. The balloon bouquet is colourful and well made, it is immediately recognisable as a bunch of flowers and is a quirky and cute decoration! There are loads of categories on balloon baboon, so you can get suitable displays for any occasion or colour scheme – there are ideas for new baby parties, character balloon models for children, or for Halloween you can even get a mask made out of balloons! If you have a party coming up its a very easy decorations solution, and also works out pretty favourably compared to the cost of hiring an entertainer to come and stand at the party making balloon models and handing them out. There are models starting from just £15. I would say that the range on Balloon Baboon is more varied than most party entertainers would be able to achieve too. If you would like to win a balloon bouquet then enter via the Rafflecopter below! None planned at the moment, but there’ll plenty in the future! My husband & sister’s birthdays – a day apart! nothing for ages, so would be a “just because” gift for my mum. my step-dad’s birthday coming up! should be good fun! My daughters 17th birthday in January , she would love this . A super spooky Halloween party! We’re having a birthday party for my dad.